While the emergency was not declared, the entire council came together and pledged themselves to step up work to combat climate change. Setting up a Task and Finish Group to look into the matter in greater detail. At a County Hall, Chichester, meeting on Friday, there were passionate statements from members of all parties. Proposing the notice of motion, Cllr Michael Jones (Lab, Southgate & Gossops Green) said: “There is an overwhelming need to do as much as we can now. That sense of urgency was one shared by every councillor who spoke – not just for West Sussex but for the world. Cllr Barling tabled an amendment to the motion, which was approved and recognised as strengthening the points brought forward by Mr Jones. Cllr Kirsty Lord (Lib Dem, Hassocks & Burgess Hill South) also tabled an amendment, though this one was not accepted. She told the meeting that West Sussex needed to do more than most to bring about change. 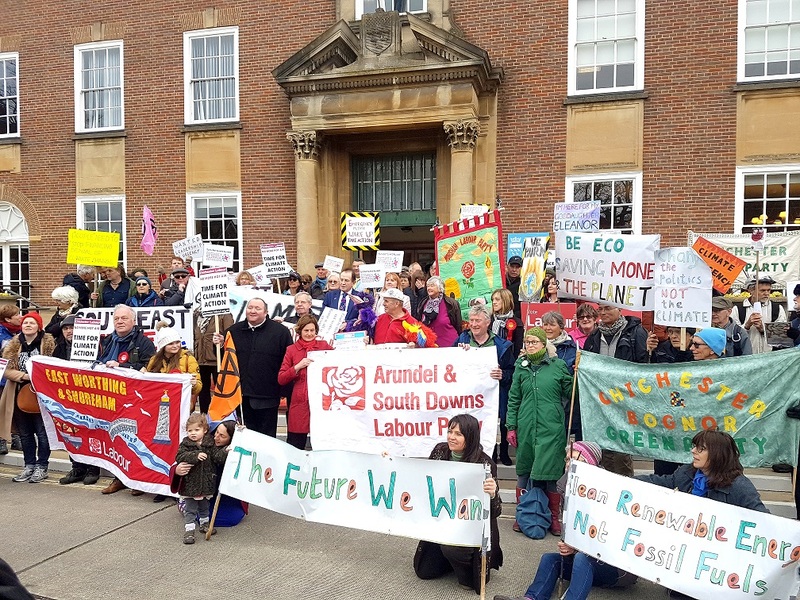 Quoting a report from the county’s environment and change board, she said the average West Sussex resident produced 16 tonnes of carbon dioxide equivalent per person per year, compared to the UK average of ten. Cllr Viral Parikh (Con, Bourne) certainly took the call to action to heart, pledging to cycle to all future council meetings – a pledge he realised he would probably regret. On the subject of pollution, Cllr Anne Jones (Con, Burgess Hill East) suggested that this could be one of the root causes of autism and dementia. The amended notice of motion received unanimous approval.